Fresh sweet apricots blended in a wonderful spring salsa. 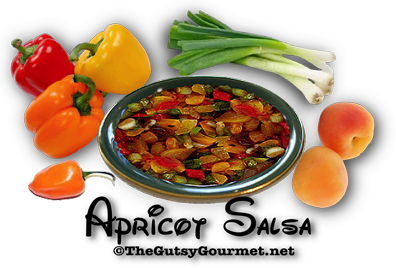 This is a marvelous sweet and savory salsa that is compatible with many tacos and seafood dishes, as well as grilled chicken, pork and grilled beef. • Mix in a bowl and serve. Goes great with pork, chicken or fish - also great in tacos and most green and pasta salads.